Hello dear readers! You have probably noticed our absence from the blogging world of late. That’s because for the past four months we have had back-to-back weddings in Goa and it has been difficult to catch up on the blog! We have missed you all! We enjoyed these busy months – and it has been our most challenging to date. 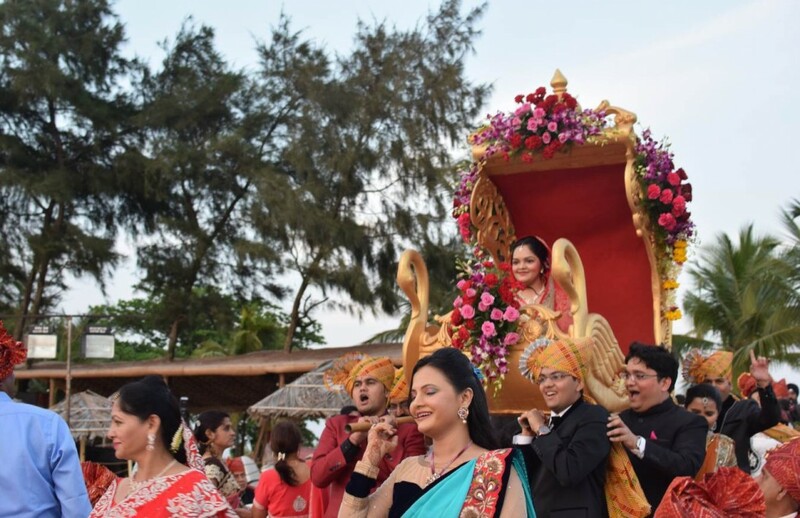 Between January and April I found myself on an airplane on average every five days as we planned destination weddings in Goa and Rajasthan and I traveled home to celebrate my second wedding anniversary. I look back with pride as we continue to build our business and reputation both here and among our NRI clientele and make new friends along the way. We have worked with some exceptional wedding makers this year. We of course have our favourites whom we occasionally feature in our blog – they become so because they deliver world-class service and outstanding results at reasonable affordable prices. But we always enjoy working with new people. Among our favorites this year were two amazing photographers- Krunal Shah and Candid Framez whom we have loved collaborating with. 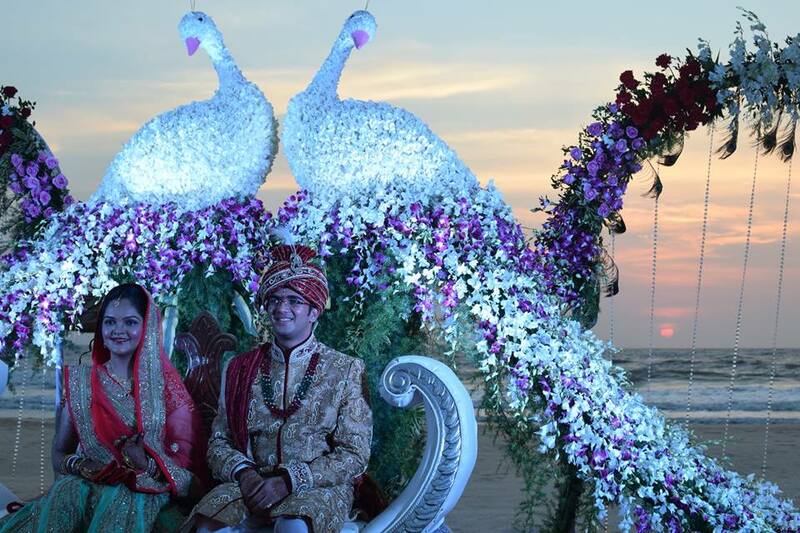 We had the honour of designing and planning Ankur and Mayuri’s wedding at Ramada Caravela Beach Resort. Too many pictures to post, so i’ve split this post in two parts. This ultra classic couple always knew they wanted something elegant and bespoke. 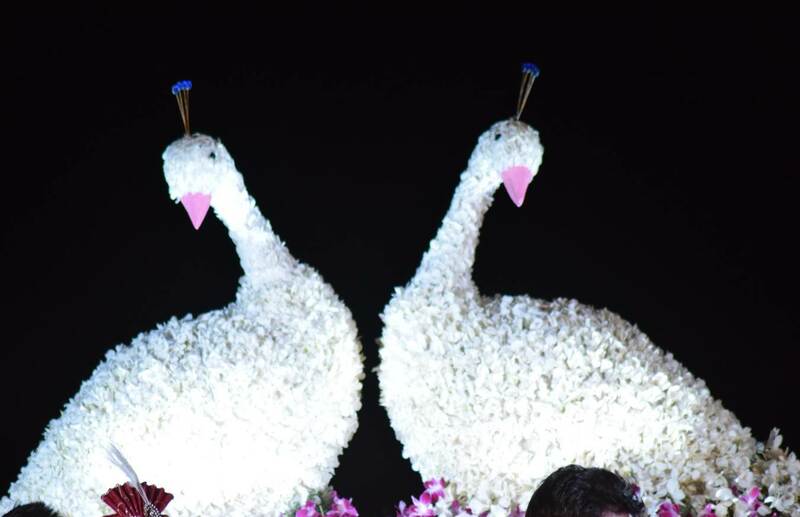 As ‘mayuri’ means peacock in hindi, they wanted peacock motifs to a significant part of their wedding decor. Noticeable but not overpowering! 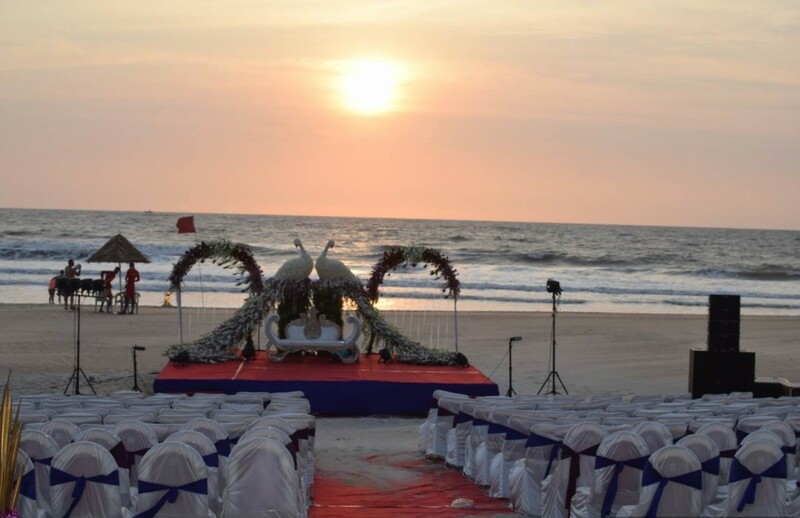 We planned and designed their peacock themed sunset reception on Ramada’s pristine white sand beach. This was followed by a midnight wedding on the beach facing lawns. 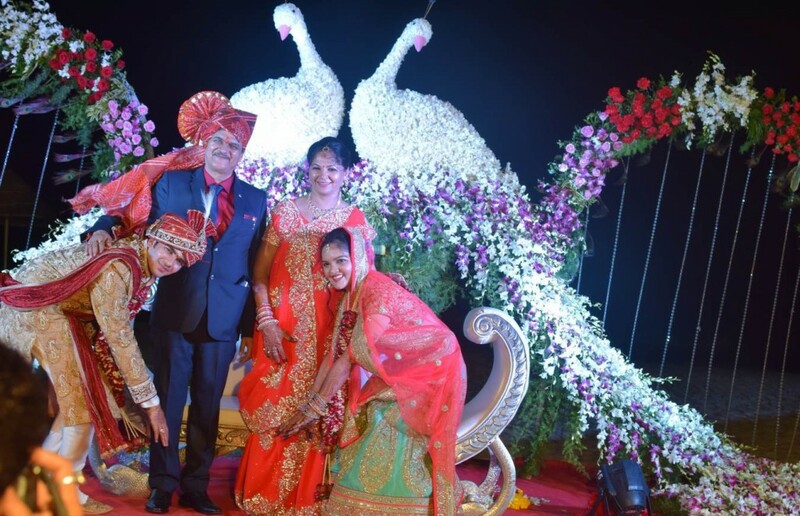 We used bright colors like fuschia and orange throughout their celebrations with huge floral peacocks made completely out of orchids to compliment one of our fav venues in Goa that is Ramada Caravela. 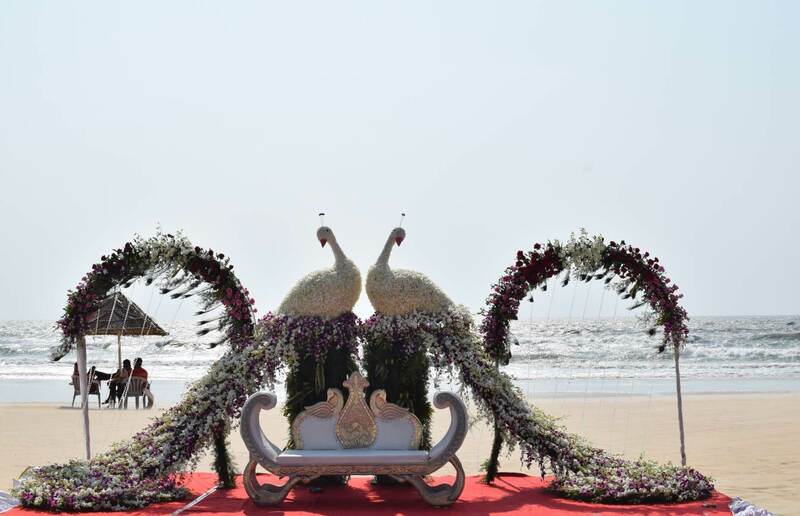 This was followed by a lavish wedding on Ramada’s beautiful beach lawns.